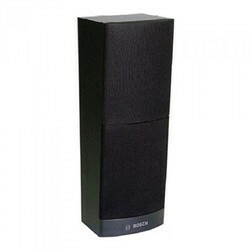 Providing you the best range of bosch lb2-uc15-d1 15 watt premium cabinet speaker, bosch lbc-3493, circular 30w horn loudspeaker, bosch la2-um40-l-in metal column speaker, 40w, bosch lbd8351 4w compact ceiling loudspeaker, bosch lbd-0606 and bosch lbc 3086 with effective & timely delivery. The LB2-UC15-D1/L1 Premium¿¿¿sound cabinet loudspeakers are intended for clear reproduction of speech,foreground and background music to be used in general indoor and outdoor applications. 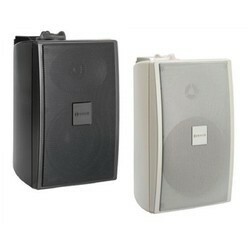 The Premium¿¿¿sound cabinet loudspeaker range consists of a 15 W available in a light or dark color. 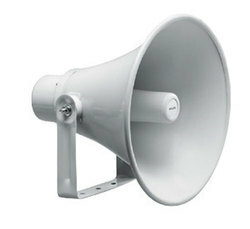 The LBC 3493/12 is a circular, 30W horn loudspeaker with a large horn measuring 400 mm in diameter. It is made from a combination of aluminum with ABS for optimum strength and low weight. The edge of the horn is covered with PVC for protection against impact damage. The metal column LA2-UM40-D/L loudspeakers deliver professional performance from a robust, yet aesthetically designed aluminum enclosure in a white finish. It is an ideal loudspeaker column where sound beaming is required, for indoor use in passenger terminals, places of worship, conference venues, theme parks, swimming pools, factories, exhibition areas. A swivel wall mounting bracket is supplied as standard, allowing accurate positioning. The LBD8351/10 is an economic flush-mounting ceiling Loudspeaker for general purpose applications. It is a full range Loudspeaker for speech and music reproduction in shops, department stores, schools offices, sports halls, hotels and restaurants. Suitable for speech and music reproduction. Unobtrusive in virtually all interiors. 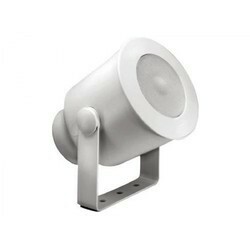 The LBD 0606/10 is a general purpose, 6 W, cost effective ceiling loudspeaker. 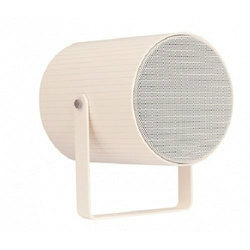 The loudspeaker can be used for reproducing music as well as speech. 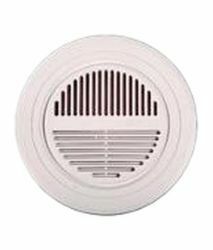 The LBC 3086/41 is designed for use in voice alarm systems.Voice alarm loudspeakers are specifically designed for use in buildings where performance of systems for verbal evacuation announcements is governed by regulations.The loudspeaker unit is a 6 W, dual-cone loudspeaker with an integrated circular metal grille. 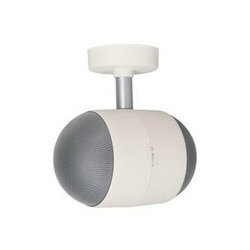 The Bosch Loudspeaker LC1-PC30G6-6-IN is a high-efficiency, coaxial full range premium ceiling loudspeaker providing excellent speech and music reproduction. 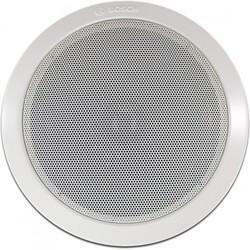 This ceiling speaker gives sound distribution for a wide scope of ceiling mounted applications. These are ideal for hotels,restaurants, shopping centers, convention centers, office buildings, etc. where both speaker and music reproduction of high quality is required. Power LC6-S-L "30 watt" LC6-SW100-L "200 watt"
restaurants, bars, patios, retail, and other applications. The system consists of a high performance ceiling mount 8-inch subwoofer module with a crossover network to support the included four (4) ceiling mount 2-inch satellite speakers. The system provides for easy signal connections at the subwoofer and can support either 4 ohm or 70/100v signal connections. Its high power handling allows the system to be used in a wide variety of environments and spaces to provide high quality background or foreground music. Quick-install design with captive mounting tabs to fit nearly any ceiling construction. Four-pin Phoenix connectors on ceiling satellite speakers support pass-thru wiring. 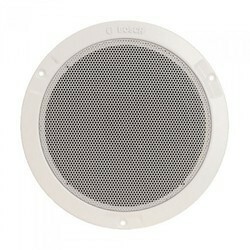 The LCZ-UM12-IN is a 12 W loudspeaker with integrated circular metal grille. It has excellent audio performance and is easy to install with its integral mounting clips. 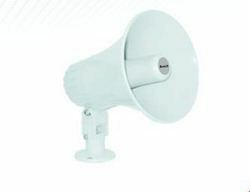 The loudspeaker is suitable for high ceiling applications. 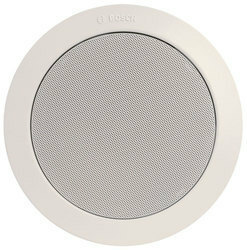 The Bosch Loudspeaker LBD8352/10 is an economic flush-mounting ceiling loudspeaker for general purpose applications. It is a full range loudspeaker for speech and music reproduction in shops, department stores, schools,offices, sports halls, hotels and restaurants. The Bosch LBC 3437/00 Horn Loudspeakers are specifically designed and approved for installations where explosive gas-air mixtures are likely to be present. They are suitable for use in all gas groups including hydrogen. We are offering a wide range of Sound Projectors . LED 8355 is the bi-directional version. Their plastic housings arc injection-moulded from higl-impact ABS. They come in a light grey colour that blends unobtrusively with virtually any interior. The loudspeaker in LBD 8355 is connected to a 100V transformer with rapping that allows outputs of 6W, 3W or 1W. 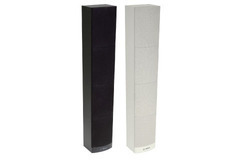 The metal column LA2-UM30-D/L loudspeakers deliver professional performance from a robust, yet aesthetically designed aluminum enclosure in a white finish. It is an ideal loudspeaker column where sound beaming is required, for indoor use in passenger terminals, places of worship, conference venues, theme parks, swimming pools, factories, exhibition areas. A swivel wall mounting bracket is supplied as standard, allowing accurate positioning. LBC 3438/00 Horn Loudspeakers are specifically designed and approved for installations where explosive gas-air mixtures are likely to be present. They are suitable for use in all gas groups including hydrogen. The LP1 BC10E 1 is a powerful 10 W bidirectional sound projector intended for high quality speech and music reproduction in indoor and outdoor applications. The two loudspeakers facing in opposite directions are ideally suited to applications such as tunnels, long corridors and shopping arcades. The state of the art design is matched to both modern and traditional style environments. 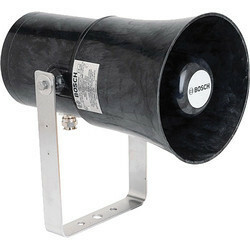 The sound projector is suitable for use in voice alarm systems. The use of high quality drivers in combination with advanced filtering has resulted in a very natural sound reproduction. situation. The loudspeaker has a ceramic terminal block, thermal fuse and heat resistant, high-temperature wiring. The sound projector is made from high-impact self-extinguishing ABS according to class UL 94 V 0, finished in white. All Bosch loudspeakers are designed to withstand operating at their rated power for 100 continuous hours in accordance with IEC 268 5 Power Handling Capacity (PHC) standards. Bosch has also developed the Simulated Acoustical Feedback Exposure (SAFE) test to demonstrate that they can withstand two times their rated power for short durations. This ensures improved reliability under extreme conditions, leading to higher customer satisfaction, longer operating life, and lessons the chance of failure or performance deterioration. 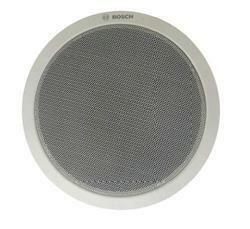 The Bosch Loudspeaker LC1-PC20G6-6-IN is a high-efficiency, coaxial full range premium ceiling loudspeaker providing excellent speech and music reproduction. 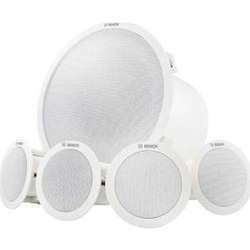 This ceiling speaker gives sound distribution for a wide scope of ceiling mounted applications. These are ideal for hotels, restaurants, shopping centers, convention centers, office buildings, etc. where both speaker and music reproduction of high quality is required. Excellent speech and music reproduction. The LC1-PC15G6-6-IN is a high-efficiency, full-range dual cone premium ceiling loudspeaker providing excellent speech and music reproduction. 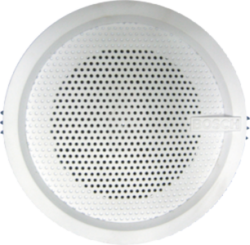 This ceiling speaker gives sound distribution for a wide scope of ceiling mounted applications. These are ideal for hotels, restaurants, shopping centers, convention centers, office buildings, etc. where both speaker and music reproduction of high quality is required. 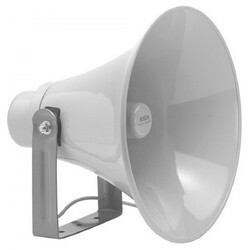 The LBC 3492/12 is a circular, 20 W horn loudspeaker with a large horn measuring 354 mm in diameter. It is made from a combination of aluminum with ABS for optimum strength and low weight. The edge of the horn is covered with a PVC profile for protection against impact damage. The LBC 3941/11 is a 6 W cost-effective sound projector. It features a very wide opening angle andunobtrusive styling. Water and dust protection to IP65 make it suitable for indoor and outdoor use. 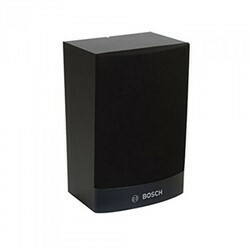 Looking for BOSCH Loud Speakers ?